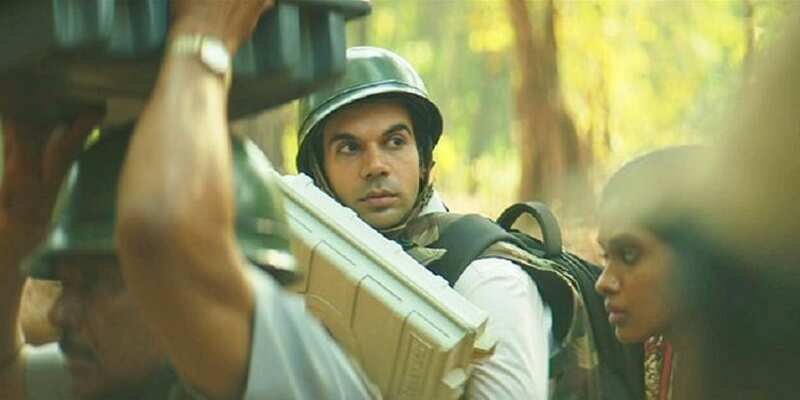 In an exclusive interview to Firstpost, Rajkummar Rao had said that his latest film, Amit V Masurkar's black comedy Newton is redolent of "apne desh ki mitti ki khushbu". What he was alluding to was that the film not only addresses the issues of the lower strata of society, it also demonstrates how crucial it is to stay grounded for the sake of the nation. 350 years ago, Sir Isaac Newton formulated the law of universal gravitation. Keeping the scientific jargon aside, his groundbreaking theory proved how gravitational force ensures that humans are glued to the Earth. While this prevented them from touching the skies, it also made life possible on the planet. The makers of Newton have offered little clarification on why the film is titled so, and have rejected any comparisons with the scientist, suggesting that the protagonist changed his name from Nutan to Newton out of embarrassment (this can be seen in the trailer also). But there are theories (not scientific, of course) to draw a parallel between Newton the film, Newton the character and Newton the scientist. Newton's third law states that for every action, there is an equal and opposite reaction. In the film's context, Rajkummar's character jokes that his broken neck is a mere reaction to his action. Here, he alludes to the fact that only because he used violence as a medium to get his job done, he got a vehement response with the same force. For majority of the film, Newton — a clerk assigned the duty to carry out Lok Sabha election in a Naxal-affected area — is firm but non-violent. All his incessant efforts at getting people to exercise their right to vote are met with counter efforts from the Central Reserve Police Force (CRPF), his laid back colleagues and the indifferent adivasis, who try equally hard to thwart the elections. It is only in the last scene when Newton feels content. Disturbed by how pathetic the state of affairs is in the country, he realises that the universe will react positively towards him when he concentrates on excelling in his job, without challenging any one else's role or responsibility. There is an invisible force that pulls all Earthlings down and ensures that their feet are firmly on the ground. For Sir Isaac Newton, it was gravity and for Newton Kumar, it is honesty. It was only when Newton discovered the laws of motion that he made sense of how the world functions. Similarly, Newton Kumar is initially pained by how the world is not fair to him despite him being hopelessly honest. As his mentor, Sanjay Mishra's character explains, honesty does not warrant entitlement. It is an intangible asset that gives one an inherent confidence to keep performing to one's best capacity. It turns into a liability once it becomes invasive and demanding. "You are not doing the country a favour by being honest. It is expected of you," says Mishra's character. It is only when Newton Kumar realises the implications of this statement that he begins to make sense of the world. Honesty becomes his gravitational force by making sure he remains grounded. From the colour of his shirts to the nature of his intentions, Rajkummar's character is spotlessly white. But in his attempt to paint the town white, he invites gallons of black in return (Read: action vs reaction). What he does not realise is that the universe is not a monochromatic realm. It boasts of a large palette of colours that dispel the monotony of blacks and whites. Newton contributed significantly to the field of optics when he observes that a prism decomposes white light into a spectrum, i.e., seven basic colours which encompass numerous tints and tones. Similarly, the universe conspires to make Newton Kumar realise that white can turn out to be gloomy if it is hollow. One needs to look at life through a prism which disperses abundant white light into a myriad range of colours that make the world a more exciting place to live in. Sir Isaac Newton invented the reflective telescope as an effective substitute to refractive telescope, that had been criticised for its chromatic aberration. Chromatic aberration is the inability of a lens to converge all colours at the same point. For example, once you step out of a pitch dark room into the sun, you momentarily see colours of the rainbow till your eye adjusts itself to the surroundings. Newton Kumar initially faces difficulty in his vision as he expected it to steer clear of any colours. He wants to see the world purely in black and white metaphorically (with more white than black). However, even after he adopts a reflective approach rather than a refractive one, he realises that optical errors still persist. It is only when he embraces that life will throw itself at him in various forms and colours that his vision gets crystal clear. That is why, in an interesting blink-and-miss observation, Newton Kumar hurriedly forgets his spectacles at the polling booth, moments before his epiphany. As we all know, Isaac Newton's Eureka moment arrived when an apple reportedly fell on his head, prompting him to research about gravity. However, there is no trace of any apple in Newton, the film. Because the apple falling on the head is only a metaphor. Some reports even suggest that the apple never fell on Isaac Newton's head but on the ground. His moment of epiphany is described as a jolt to his complacent head, which is where the apple analogy entered into the scene. 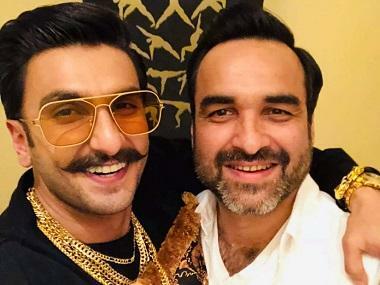 For Rajkummar's character, the proverbial apple-on-the-head moment arrives when the CRPF jawans, led by Pankaj Tripathi's character, instruct them to flee from the polling booth owing to a Naxalite attack. Having resigned to a rather naive way of looking at the world, his colleague (Anjali Patil's character) advises him on her parting note, to use his sixth sense and act more prudently. This leads to Rajkummar joining the dots and exposing the crafty strategy of the CRPF jawans. Bit by bit, he explains how the CRPF have been building the perception that the Naxalites are hell bent on thwarting the election whereas the fact is that the jawans have vested interests in the spreading of this fear. This perception of a law and order problem will prevent any real estate or industry from establishing their bases in the naturally rich forests of Chhattisgarh, leaving the best of resources at the state's disposal. Patil's indication serves as the metaphorical apple that falls on Newton Kumar's rather gullible head, shaking him out of his complacency yet eventually making him aware of how the laws that govern the universe, scientific or otherwise.